While freelancing gives contractors the freedom to set their own hours and work wherever, these advantages come at a steep price. A newly published report from the Freelancers Union sheds light on how over 50% of respondent freelancers to the Union’s survey admit to having trouble getting their clients to pay up. The cumulative costs to a freelancer’s livelihood are devastating. According to the report, the average unpaid freelancer loses over $6,000 annually, amounting to a whopping 13% of their total annual income. Over 53 million Americans identify as freelancers, that’s 1 in 3 of every working American. The collective loss of wages from these missed payments could cumulate to an astounding $1.6B annually. Adding insult to injury is meagerly few securities in place to protect freelancer rights. While full-time W2 employees of brick and mortar businesses are backed by the protection of the Department of Labor, no such luxuries are extended to W9 freelancers, who are left to fend for themselves. So how’s a freelancer to collect their dues? Keep reading to find out. Picking the right client is critical as a freelancer. There will always be deadbeats and posers trying to con you for free work. A general rule of thumb is that if it seems too good to be true, it could very well be. Go for the well-thought-out, well-written job descriptions, the ones that clearly quote a rate or ask for you to quote your own. The generic and ambiguous “freelancer wanted” post is a honey pot, designed to draw you in then bleed you dry. Be wary of serial samplers. Check the job board for previous posts by the contractor whose project you’re bidding for. If they’re repeatedly asking for “free samples”, especially ones on identical or similar topics, it’s a red flag. Finally, consider boosting your rates. Quality creative work sells – you don’t have to short-sell yourself to get proposals if you’re already ahead of the curve. Remember that there are thousands of clients out there, especially if you’ve positioned yourself in an unsaturated niche. Choosing a repeat client with a proven payment track record will always be the safer bet. Granted, new clientèle have their own advantages, such as allowing you to expand your portfolio, but nothing beats a pre-established history of payment and trust between a client and freelancer. So long as you’re punctual in deliveries and invoices your existing clients can continue to bring you in repeat work for years. Be clear and predictable about how you intend to bill your clients. Remember that they’ve probably hired you to solve a very specific problem they’re having, be it a specialized piece of content, a logo design, or an audio/visual recording. State clearly how and when you’re going to be invoicing them and when you expect to be paid. Have a clear and concise statement of how you’re billing them – be it hourly, or per-project. Finally, don’t be afraid to include your protocols on missed or late payments, such as refusing repeat work with tardy clients, or charging interest on late payments. Although Uncle Sam might not be helpful you if clients don’t pay up, there are other people who can have your back as an unpaid freelancer. If you’re a writer, for example, there’s the National Writers Union and the Freelancers Union. These organizations offer support services including contract advice, assistance in dispute settlement, and legal advocacy. The costs of joining a union are far outweighed by the benefits in the long run, and some unions, like the Freelancer Union, are even free. Freelance job markets, such as Upwork and FieldNation, have protective policies in place to ensure freelancers get paid. Upwork has their “Payment Protection” policy, advocating freelancers’ rights to payment for work and clients’ rights to paying only for hours worked. Another option to look into if you’re overdue for a particularly large payment is hiring a collections agency to take care of collecting for you. Chances are, the pay-offs of having someone else handle payment hassles for freeing you to focus on your freelance work far outweigh the costs associated with such services. As a freelancer, you’re tasked with being your own accountant. Chances are, you don’t take kindly to tardiness and client non-responsiveness, so why subject clients to sloppy book keeping and over-billing? Your responsibility as a freelancer is to track and report all invoices and expenses in a tidy and timely fashion. Spreadsheets are the bane of many creative freelancers’ existences, but this is just one of those cases where you’re going to have to go the distance. Luckily, there are a number of online tools that you can use to make invoice creation and expense tracking easier, both on yourself and on your clients. 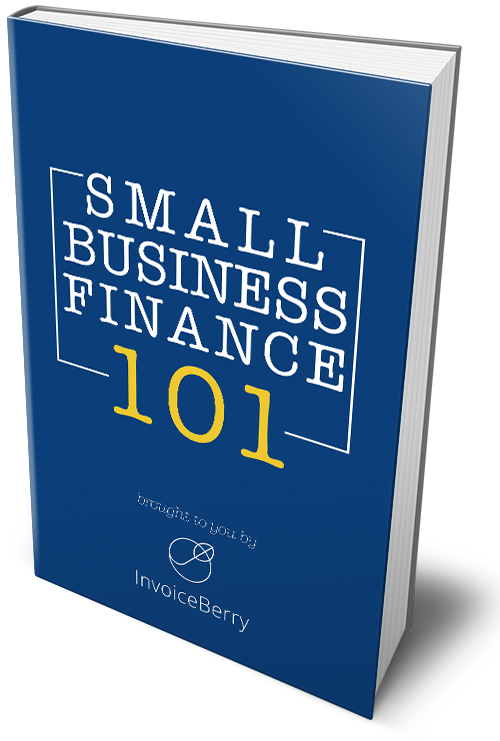 InvoiceBerry is one freelance tracking solution that does it all – auto-invoicing, seamless expense and profit input, performance metrics – you name it! In December 2015, the City Council of New York, in collaboration with the Freelancers Union, unveiled the Freelance Isn’t Free Act. Backers included Work Market, KickStarter, Wil Wheaton, and other prominent freelance advocates. Since then, other freelance advocacy movements have cropped up on Change.org and CouncilMatic. Speaking out against shady client practices can be a powerful deterrent to freelance financial abuse. You can even take matters into your own hands. Your client likely has a reputation they want to protect, so call them out politely (but assertively) on Facebook or Twitter if they refuse to hold up their end of the deal. Be short and sweet, showing proof of your work and requesting them to pay up. Chances are good you’ll hear from them soon. And no – that doesn’t mean clubbing your financially withholding clients over the head – instead, send them physical snail mail. We’re conditioned to respond to printed requests for money far more seriously than words on a screen, perhaps because that’s how many people continue to receive their rent invoices and utility bills even to this day. Send a short, professional letter with an enclosed invoice or a dated list of billables and a specific pay-by date to your tardy clients. You can find templates for collection letters here. Two golden rules to ensured payment as a freelancer: pick your clients wisely and keep careful track of your billables. Develop and rely on sound judgement of character for the first, and on streamlined online invoicing solutions like InvoiceBerry for the second.